What is the Meaning of CALL OFF? 1. When I heard how cold it was going to be on the weekend, I wondered if we should call the party off, but my wife thought it would be best to go ahead with the original plan. 2. Let’s just call it off. No one is around that weekend. Out of the twenty people on our list to invite, already ten have said they can’t come that weekend. 1. 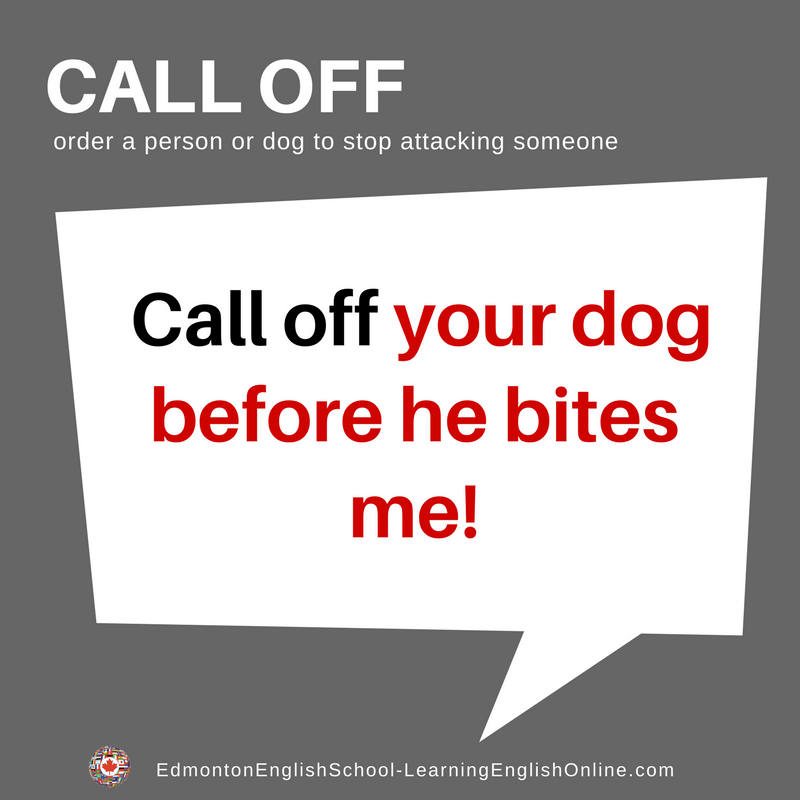 Call your dog off! 2. He tried to call his dog off but the dog wouldn’t listen to him, and continued to chase the little girl. Note: Many phrasal verbs have more than one definition. All the definitions may not be shown here.